Whether you are moving from NJ to Tampa to begin an exciting new career, pursue higher education or be closer to family members, the moving company you choose dictates the experience you will have. For a smooth and seamless transition, trust the experts at Simonik Moving & Storage. We have been providing high-quality comprehensive moving services since 1977, and during the time, our commitment to excellence has earned us an A+ rating and accreditation with the Better Business Bureau. 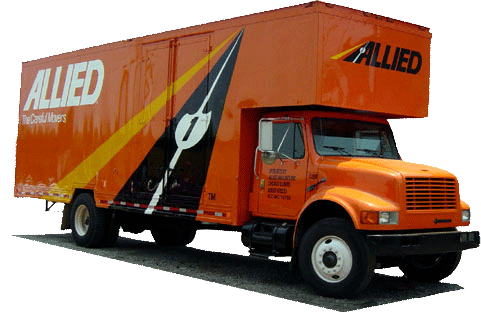 As an award-winning agent of Allied Van Lines, we belong to a nationwide network of hundreds of moving and storage professionals. No matter where in the United States you need to go, trust the professionals at Simonik Moving & Storage to get you there easily and efficiently. Even with meticulous planning you may experience some unforeseen obstacles during your move from New Jersey to Tampa, and you want to be absolutely certain that your moving professionals can handle these. If you are unable to receive your items in your new Tampa home for any reason, take advantage of our flexible storage options. Our containers are approved for international shipping and you can store your belongings in our secure and state-of-the-art warehouse for as long as you need. When you are ready for your items, simply give us a call to schedule a delivery. Simonik Moving & Storage is proud to serve North and Central New Jersey including Hunterdon, Mercer, Middlesex, Monmouth, Morris and Somerset counties. Our status as a ProMover with the American Moving & Storage Association (AMSA) ensures that we are kept up-to-date on the latest moving technologies and best practices in the industry. When you move with Simonik, you move with the very best. We are a past recipient of the “Mover of the Year” award from the New Jersey Warehousemen & Movers Association, cementing our reputation as superior New Jersey to Tampa movers. Don’t settle for anything less than the best for your long distance move! Trust the NJ to Tampa moving specialists with the experience you need during your transition. Call today to speak with one of our friendly representatives and schedule a free in-home consultation or fill out our convenient online form to request your free moving estimate!